One afternoon I got this facebook link from a friend of mine, Linda. It said “you should do this” and it all began from there. I read up on the Austin Bakes website about what was going on. 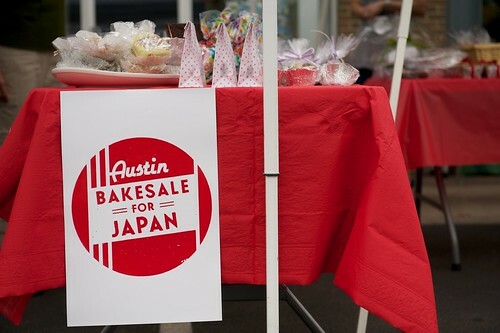 The Austin community was going to participate in a nationwide bake sale to raise money for relief in Japan. As soon as I read that, I said “where do I sign up?” 23 cities in the US participated and held a bakesale in their cities on April 2. Read more here! I love most of those things too. 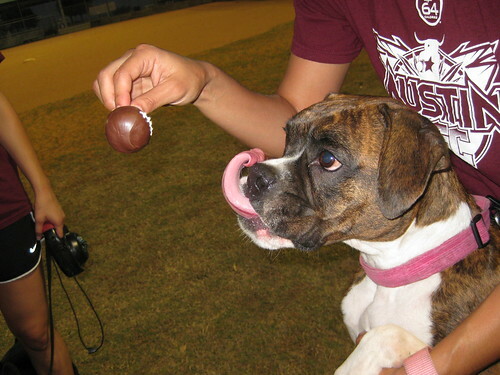 Agreed that everyone needs a lil sugar sometimes…maybe all the time. 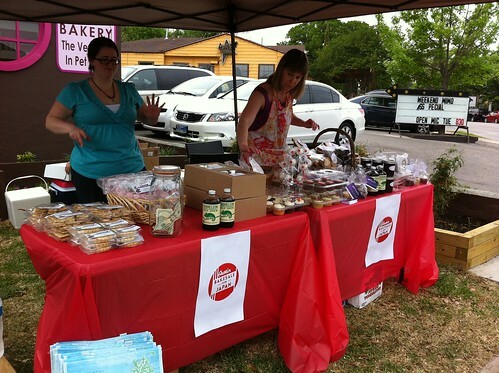 Well on April 2 AustinBakes was able to secure 5 locations around the city and over 100 volunteers to help out. How cool is that? 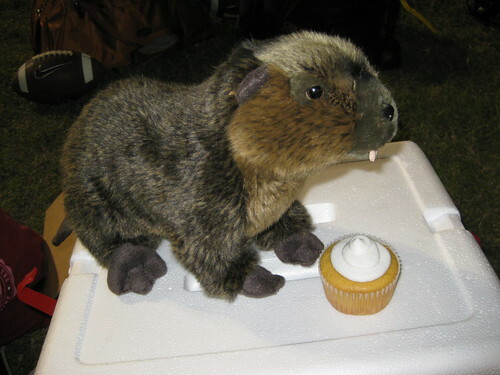 Bakeries, bakers, volunteers, even pets came together to make this possible. Most of the locations were open from 10-2 with the exception of one that was open until 5pm. At the end of the day, we were proud to say that we were able to raise over $11,500! now that’s AWESOME!! We donated to AmeriCares who currently is overseas taking care of our friends hit by the tragedies. If you would like to donate to them, click here. 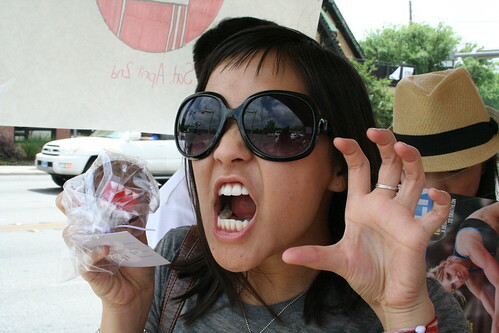 We were stationed downtown Austin at the Wolf Gang Bakery. Here was our table before it became overflowing with sweets. Can you imagine that we had double the amount of sweets to be sold than in this picture? Gemma and Shelley did a wonderful job setting up the tables. 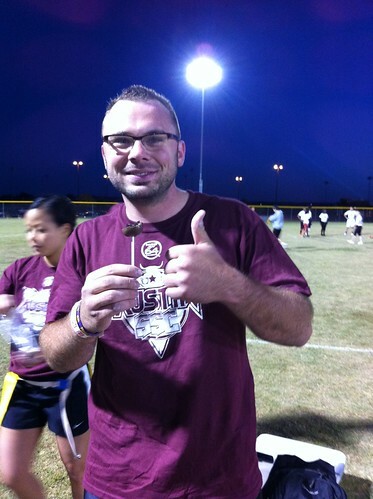 Austin Bakes had a little contest going between all of the locations so we were tweeting how much we had raised. 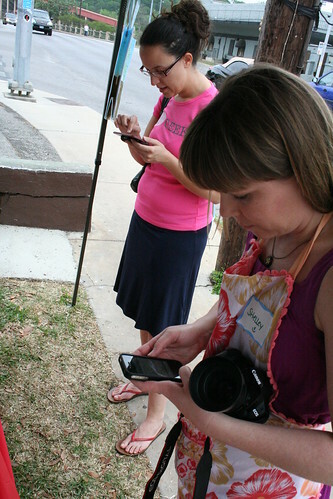 We definitely could not have pulled off this event without the help of social media. Thanks for everyone who followed the event and followed Austin Bakes. 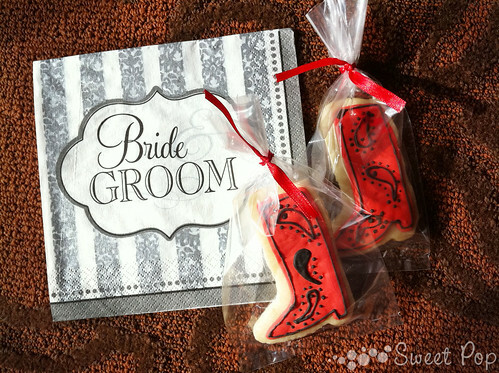 There were so many good looking treats that I can’t possibly post all of the pictures but here’s a picture of my favorite! 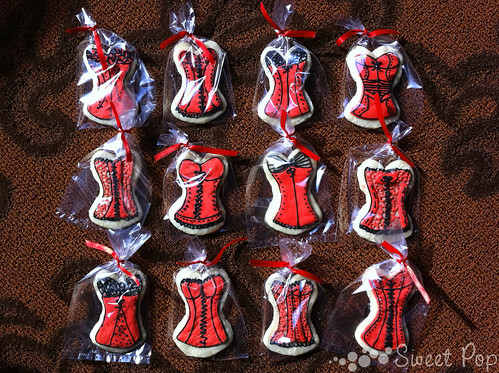 These cookies were so adorable and expressed exactly what everyone at the event felt. 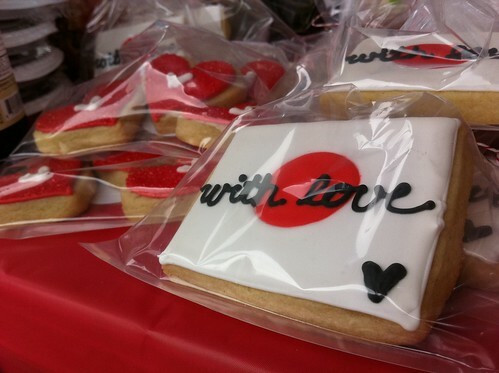 We wanted to show our love in the only way we knew how and that was through our baked goods made with love. I know it sounds cheesy but it’s true, at least for me. I put my heart into everything that’s Sweet Pop and I hope that someone gets a smile from them even if it’s just a picture we post. 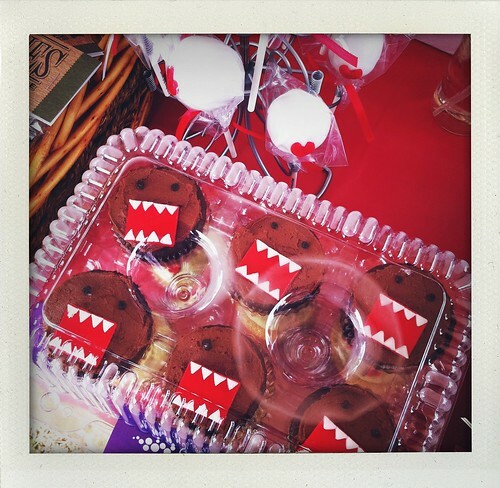 You can’t have Japan without Domo-kun cupcakes! 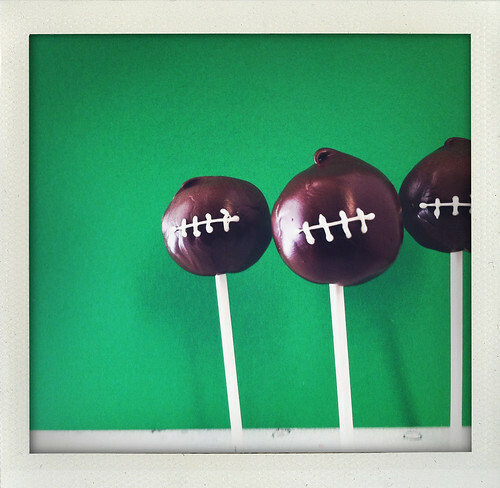 We had two kinds of cakepops at the sale. These were inspired by the Japan flag. 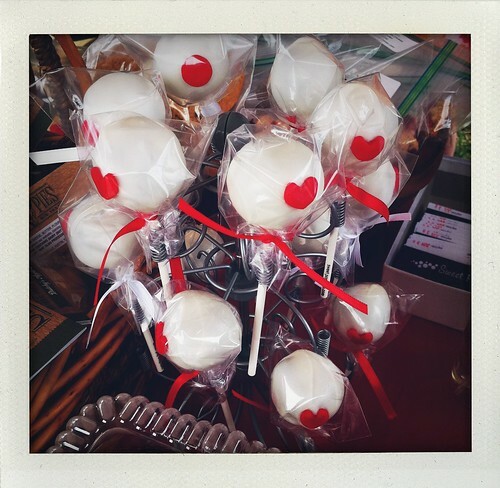 The rising sun cakepops were our Devil’s Food and the rising “heart” cakepop was Velvety Red with love. 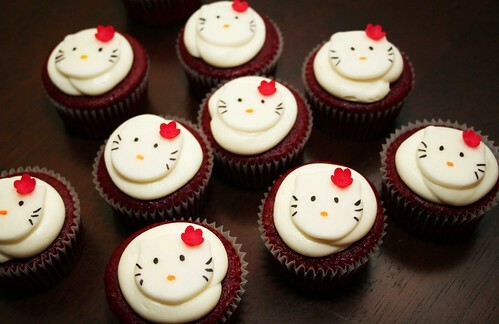 We didn’t forget about Hello Kitty. She had to make an appearance at the sale and she was a HIT. KPG got to meet so many sweet people at the event. Please feel free to check out their blogs and follow them on Twitter! 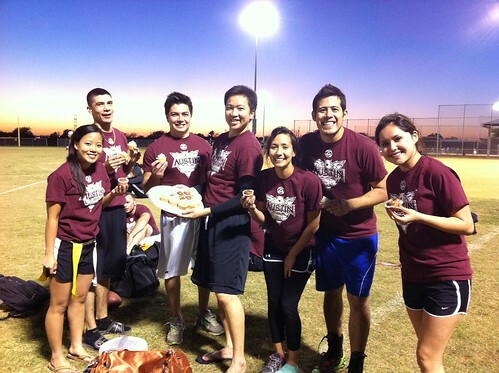 Sorry if I left someone out but this was TEAM DOWNTOWN! 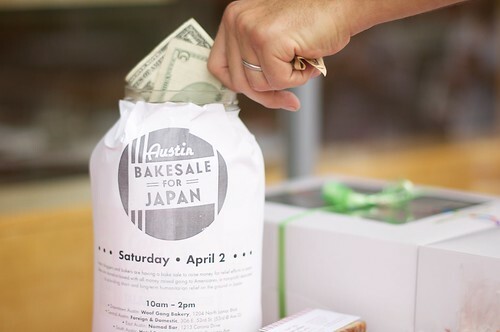 So sorry that I haven’t posted about the Austin Bakes bakesale yet. Let me tell you that it was a wonderful event to be at. I met so many awesome people within the baking and Austin community that just wanted to make a difference and we were all doing it together. 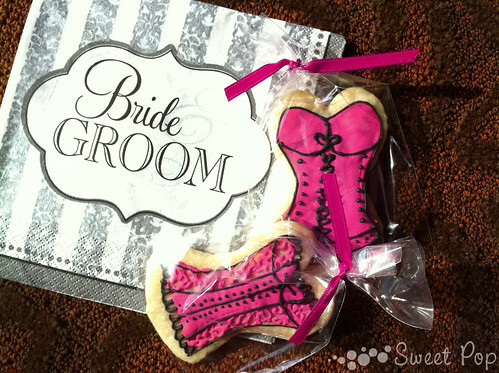 It was really sweet! To hold you over until I can get all of my pictures together for it, I’ll leave you with the two news specials on us. 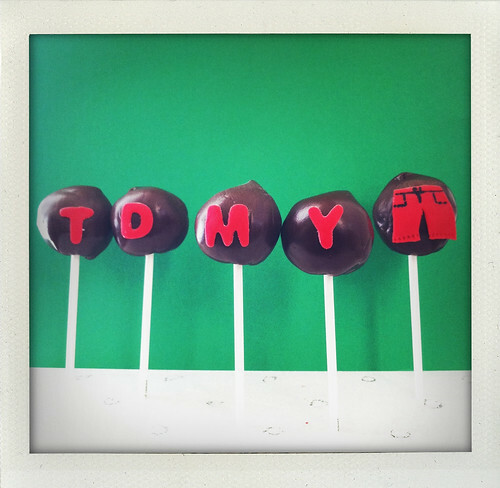 You can see our really cute Japan flag cakepops as well as a short interview with the KPG. I have to admit that my wording during the interview COULD have been better but I was on a slight sugar high all day. Torrie Hardcastle from KUT was so nice! She took great pictures as well. 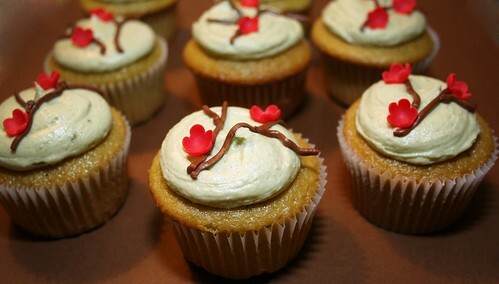 KPG here was able to donate a few hundred cupcakes to the silent auction. I really hope they enjoyed them! Their motto and what they have done is so inspiring. The students that have been touched by the school are also extraordinary! On Saturday I tuned up my bike and set out on a 20 mile bike ride. The turn out was great! 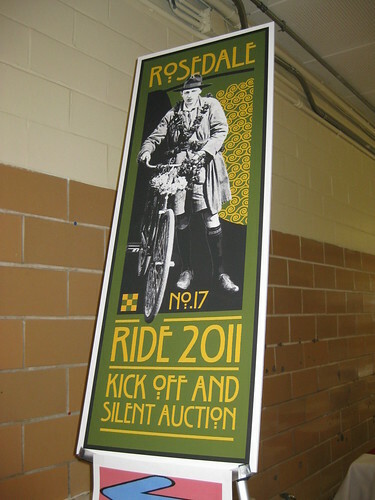 Over 1300 people came out and supported the Rosedale Foundation. 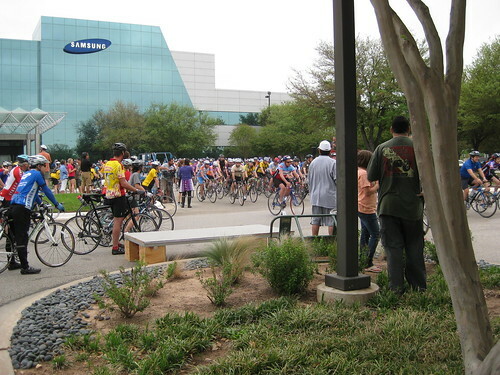 Some riders biked for 60 miles. 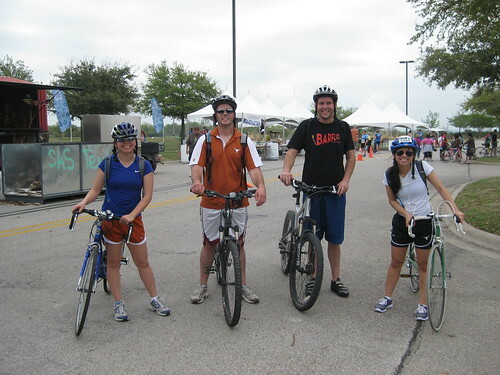 Some riders biked for 40 miles and Team SweetPop biked for 20 miles. 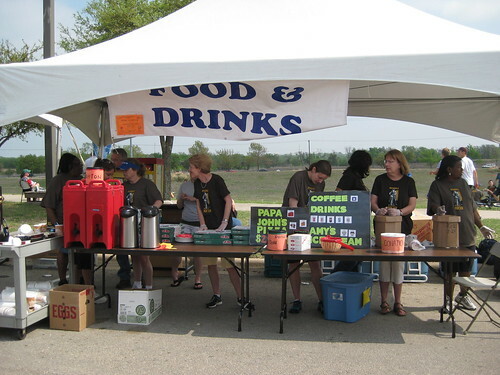 Along the routes were stop stations that were sponsored by organizations and businesses. We had some oranges, bananas, gatorade, and of course COOKIES! Sister Sweetpop also survived the ride after her accident on the road. Get better soon! 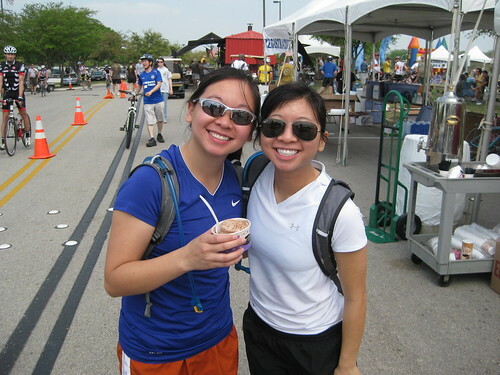 In the meantime, we had some Amy’s Ice Cream to make the ouchies better. There were so many great vendors out there supporting. 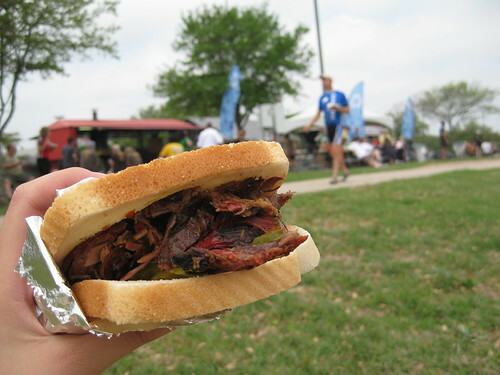 After our ride we were so hungry for a BBQ sandwich. 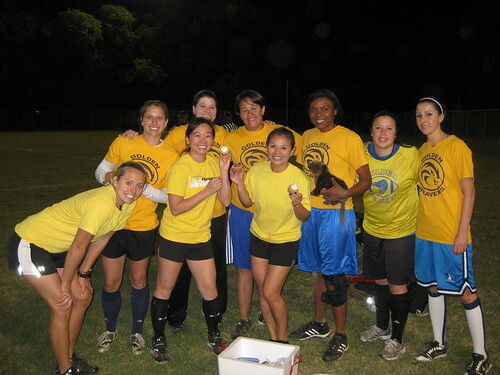 Here is Team SweetPop! We all made it which was a huge accomplishment because none of us trained for the ride ahead of time and it was out longest ride yet. 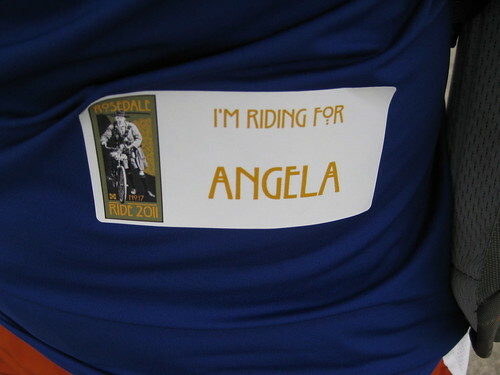 Next year we will ride the 40 mile route! 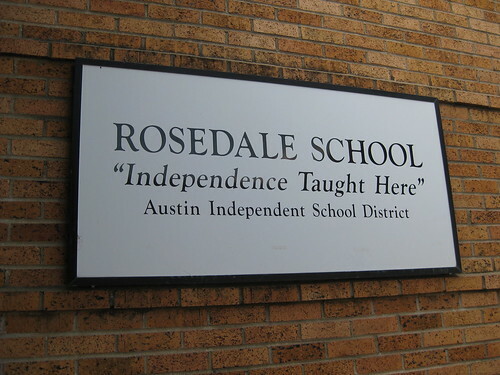 Thanks again to the Rosedale School for having us as a sponsor as well as participants. It was definitely an experience none of us will forget and hopefully we will make more memories of it next year.